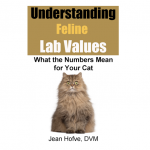 The bookstore offers expanded, in-depth print books and e-books covering many cat behavior, health and nutrition topics from our unique, holistic, mind-body perspective. Due to piracy and copyright violations occurring all over the internet, all ebooks are now available only at Amazon and/or Barnes & Noble. But here’s the best part: you don’t need a Kindle to read Kindle books on PC, Mac, tablet, or smartphone using Amazon’s free apps. The link to the Kindle edition of each book will take you to Amazon.com, where you can order directly from them. When you’ve read the book, please give it a rating or review on Amazon! For e-books that have a Nook edition, they are available only from bn.com. You can read Nook books on PC, Mac, tablet or smartphone using BN’s free apps. The link to the Nook edition will take you directly to Barnes and Noble’s website to order. Copyright Notice: All Little Big Cat e-books are copyrighted under current law with all rights reserved. If you find one of our e-books available anywhere other than Amazon or BN, please send the link to us at infoATlittlebigcatDOTcom so we can take appropriate action. Thank you! Kindle Edition available only at Amazon.com! Click here to order directly from Amazon.com. (Read complete description here!) There is currently NO PRINT VERSION available, but we’re working on it! The science behind homemade diets, to help you communicate more effectively with your veterinarian. Fully referenced with the latest scientific discoveries. 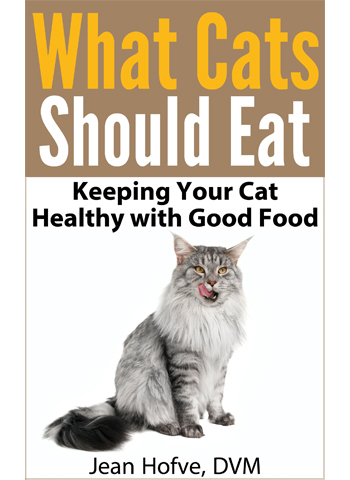 The updated electronic edition of What Cats Should Eat contains twice the information of previous editions, but right now you can get it for the same low price! Available ONLY at Amazon.com – please note that pirated versions on the internet are many years out of date, and several brands that have been removed from the list appear to be “recommended” but could be dangerous for your cat! Kindle Edition available only at Amazon.com! Click here to order directly from Amazon.com. Kindle Edition available at Amazon.com! Click here to order directly from Amazon.com. Nook Edition available at BN.com. Click here to order directly from Barnes & Noble. 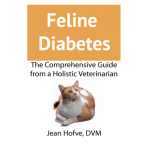 Has your cat been diagnosed with diabetes? Are you looking for up-to-date information on this condition in cats? Are you interested in alternative treatments? Do you want to know how to prevent the disease from developing? 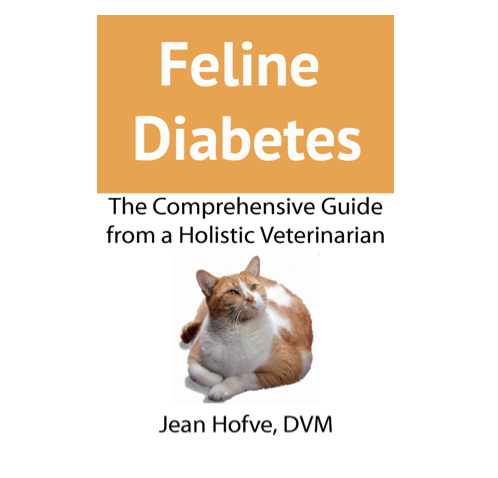 Nearly 1 in 200 cats will develop diabetes — up from 1 in 400 just a few years ago. But this devastating disease is both preventable and treatable! This in-depth e-book discusses conventional and holistic treatment details as well as the current scientific research on the causes and solutions to this difficult disease. Kindle Edition now available at Amazon.com! Click here to order directly from Amazon.com. 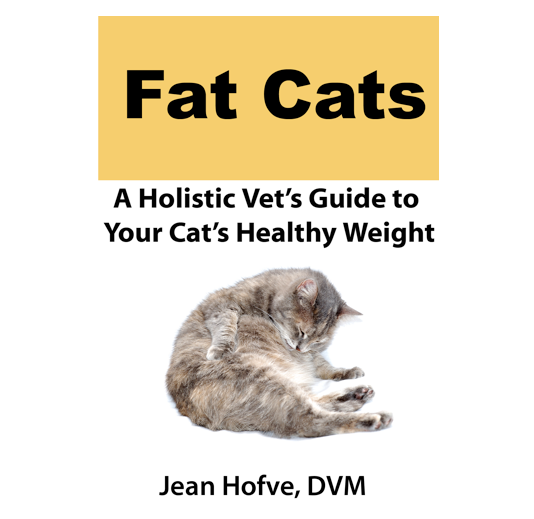 This information-packed, lavishly illustrated book by nutritionist Dr. Celeste Yarnall and Little Big Cat’s own Dr. Jean Hofve is the 2010 winner of the prestigious Muse Medallion award for Best Book, as well as a Certificate of Excellence, from the Cat Writers’ Association! To order the book as an instantly downloadable electronic (PDF) file, just click on the “Add to Cart” button above. To order it in paperback from Amazon.com, click here. If you’d like an autographed copy from Dr. Celeste Yarnall, please contact her through Facebook. Ebook and PRINT VERSION available at online booksellers and brick-and-mortar bookstores. Paleo Dog: Give Your Best Friend a Long Life, Healthy Weight, and Freedom from Illness by Nurturing His Inner Wolf, is the newest book by award-winning authors Jean Hofve, DVM and Celeste Yarnall, PhD. The Paleo Dog Program isn’t just about diet. It’s also about the dog’s whole lifestyle. Many factors contribute to degeneration, aging, and the tragically short life span of so many of our dog breeds. Nobody needs to remind us that we’re all aging at a very rapid rate; our bodies are breaking down sooner, and we have a host of lifestyle diseases that are that are largely preventable: the so-called diseases of civilization, or diseases of affluence. Our dogs are paying the price for that, too. 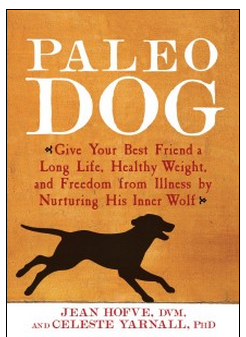 Find out how to keep your dog healthy and happy with Paleo Dog, available at Amazon.com in paperback or Kindle version, or at your favorite bookseller! If you’d like an autographed copy from Dr. Celeste Yarnall, please contact her through Facebook.